Zoya is holding another sale on their combo sales! Last year they did Color Cube duos, and now they’ve progressed to color-coordinated Trios! 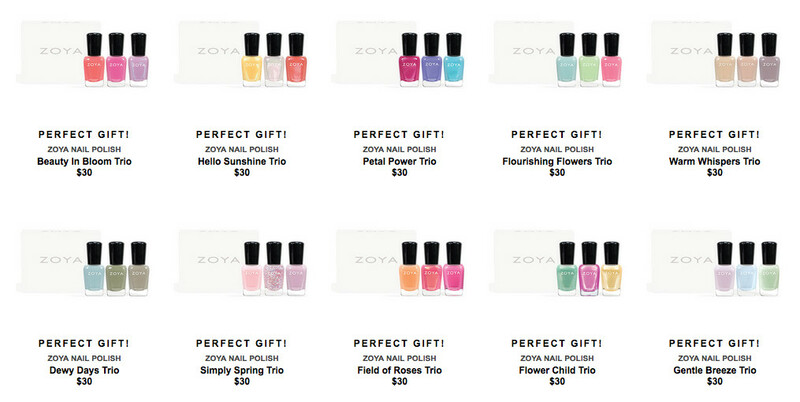 Celebrate Spring with these pastel-perfect trios – 10 to choose from! Specially curated just for you, these floral-inspired shades are just what you need for a little spring fling. I’m seriously thinking of forgoing the upcoming Sephora VIB sale and getting more Zoyas, haha!